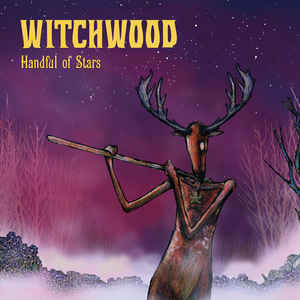 “‘Handful Of Stars’ represents an hypothetical band’s cycle as it contains also music based on ideas developed during the recording sessions of ‘Litanies From The Woods’, but left behind because that album was already almost 80 minutes length”, comments Ricky Dal Pane. We also added an extended version of the song ‘Handful Of Stars’ with a breathless intro.vThis is a very well curated album and it’s full of interesting material. It’s not just a filler between two full-length albums as its length is 45 minutes. We are very happy about it and we hope our fans won’t be disappointed”. “Handful of Stars” is the right way to celebrate the appreciations received for the debut album and to introduce the new guitar player Antonino Stella, appreciated session man and long time Ricky’s friend. The new video clip for the title track, made by the artist Dimitri Corradini. Categories: CD-Distribution, DISTRIBUTION, DISTRO STORE. Tags: Hard Rock, Jolly Roger Records, Prog Rock, Psychedelic Rock. Witchwood born from the ashes of the cult band Buttered Bacon Biscuits in 2014. BBB released “From The Solitary Woods” (Black Widow Records) in 2010. The album has been very well reviewed by many Italian and international music magazines and websites. BBB played many gigs around Italy, also supporting important bands like Uriah Heep, Jethro Tull, Bud Spencer Blues Explosion, etc. They also recorded the cover “A National Acrobat” for the Black Sabbath tribute “Hands Of Doom” released by Mag Music Production in 2013. After the BBB split some members of the band (Ricky, Andy, Steve and Sam) along with the new bass player Luca Celotti decided to start a new project, Witchwood. Those musicians have been active for decades, with past recording experiences and collaborations with artists such as Martin Grice (Delirium) and Nik Turner (Hawkwind). The debut album “Litanies From The Woods” is the result of 2 years of songwriting, long and hard rehearsals and recording sessions and it has been released by Jolly Roger Records on CD and Digital in May 2015, and on 2 LP in October 2015. The album features ten tracks for 78 minutes and it is a long journey from 70’s hard rock, to progressive, psych, southern rock and blues. The record received excellent reviews both from Italian and international press, and also very good selling-results (the CD has been printed twice and the 500 double LP’s sold out in a few months). Recently Witchwood were voted as “best emerging band in 2015″ by Rock Hard Italy readers, and played the final match in the Wacken Metal Battle competition.